Vahe Manoukian is in a band called Nu-tra. He is an established recording engineer for television, film, and music. ZenPro Audio is owned and operated by Warren Dent, their Clipalator media player and level of service is well known among pro audio dealers. Vintage King Audio’s main headquarters is in Michigan, and has offices throughout. Tidepool Audio is located in Portland Oregon and supplies equipment to artists and studios across the country. Tony Belmont is a well-known studio consultant in the audio industry and has helped put together studios for some of the biggest names in the music business. Dealer and tech for vintage and modern pro audio in Los Angeles, and soon to be in Nashville. Just north of Washington’s border in Canada. 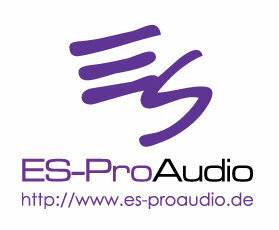 A pro-audio specialist with individual attention we are proud to have as a dealer. If you are in Australia or New Zealand, please contact Legacy Audio. We work with Legacy Audio to offer you the best price, service and support, and knowledge base you can’t get elsewhere. Come see us at Musikmesse in Frankfurt, Germany. Finland audio sales specializing in 500 series modules. T: +46 70 66 50 358. Eastern Acoustics Pro Audio courier to anywhere in South Africa.